Can Dolphins talk? Is there a real dolphin language? Can humans potentially speak directly with dolphins? What do dolphins talk about? These are questions that many of us will have asked at one time or another (at least Google searched on a slow day). We know dolphins have big brains, we know dolphins can learn complex tasks (including triple backflips through flaming hoops) and we know they can communicate using sounds. None of that, however, confirms that they have a true language and hold social conversations. Evidence for this chit-chat has been building though. Though most of us have little ability to confirm the existence of delphinidae syntax (that’s dolphin talk to you) we live safe in the knowledge that somewhere out there exist people with high foreheads, thick glasses and white coats, able to access a budget which allows them sufficient time to look deeply into this crucial matter! 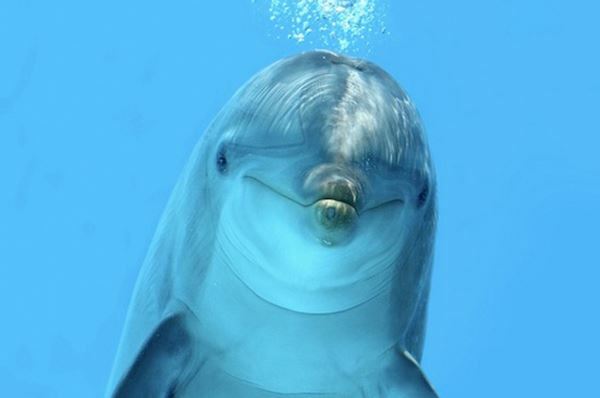 For whatever reason, some of the most interesting and bizarre research is carried out by scientists in Eastern Europe, dolphin language research is thus naturally a crucial issue in that region. Researchers at the Karadag Nature Reserve, in the Ukraine, have recently recorded two Black Sea bottlenose dolphins, called Yasha and Yana, talking to each other in a pool. They found that each dolphin would listen to a sentence of pulses without interruption, before replying, which to me suggests not only are they having a genuine conversation but that they also have impeccable manners and a better upbringing than most human beings. 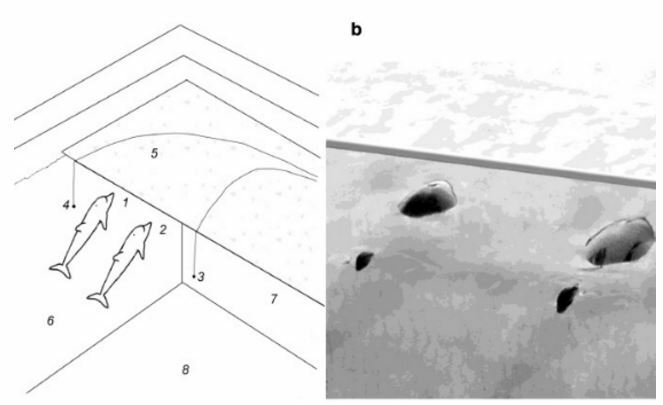 This new discovery builds on recent findings from a study led by Holli Eskelinen of the Dolphins Plus Research Institute, in that study, it was observed that dolphins seemed to be talking to each other while carrying out a shared task. A recent issue of ‘Animal Cognition’ detailed how dolphins attempting to open a canister of food (requiring them to tug simultaneously on ropes) would make increased vocalisations whilst making their attempts, they seemed to be discussing the problem at hand. This was already strongly suggestive of an underlying language system, what was less clear was how structured the communication might actually be. Boffin sketch of the two dolphins talking, left, and a photograph of Yasha and Yana, right (Image credit: The Telegraph). Personally, I agree with him, the idea of communicating with a highly intelligent being living in an alien environment (the sea is technically an alien environment for ‘landlubber’ organisms like us) is truly exciting. This would open up an entirely new chapter for our species, a first contact event involving a non-hominid species. We should, however, perhaps keep in mind that the dolphins have been tangled in our nets, drowned in our oil slicks, deliberately caught for food and forced to put up with entire floating islands of our plastic garbage. One has to wonder just how happy they are about sharing the Earth with us. I for one suspect that once we can understand them we might not like what they have to say to a species which has become the number one threat to their very existence.